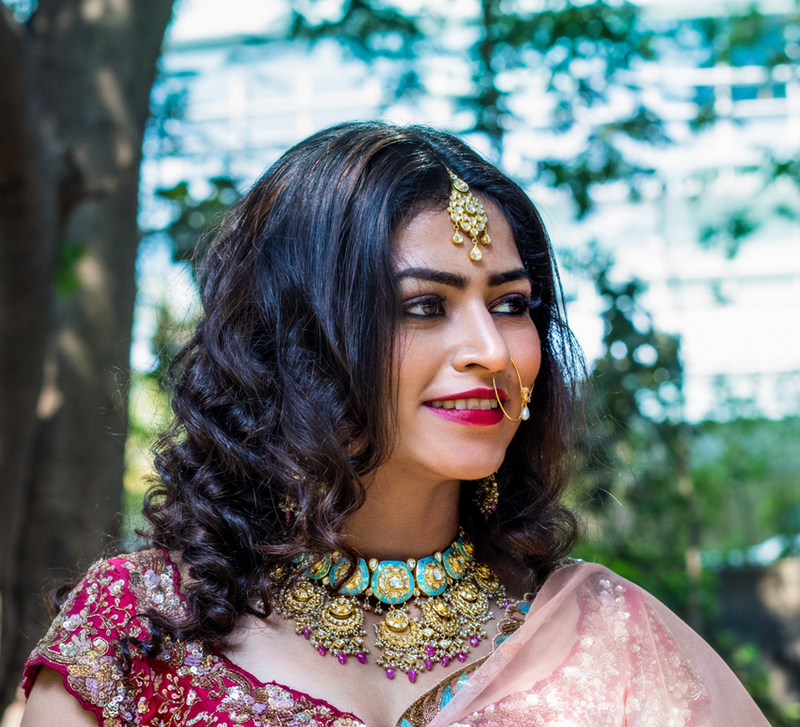 Bride-to-be Abha got ready for her big day with Tanishq and Lakmé Absolute. 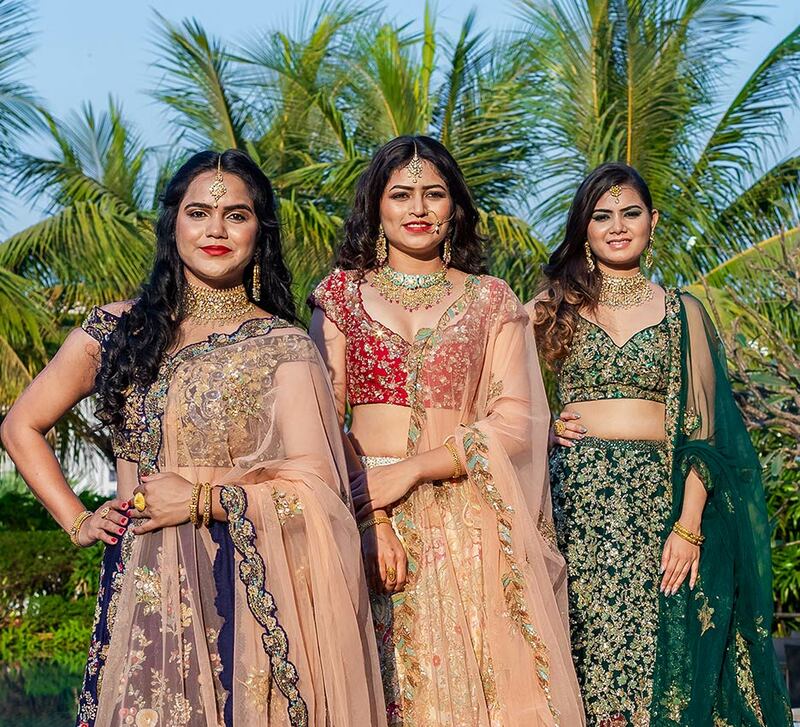 WeddingSutra, in collaboration with Lakmé Absolute and Rivaah by Tanishq, brings to you WeddingSutra on Location – a curated showcase of top bridal trends and style statements from some of our WeddingSutra Favorites. The Westin Mumbai Garden City was where the latest edition of this popular bridal initiative took place. The contemporary expanses the property offers, helped heighten the aesthetics of the shoot. 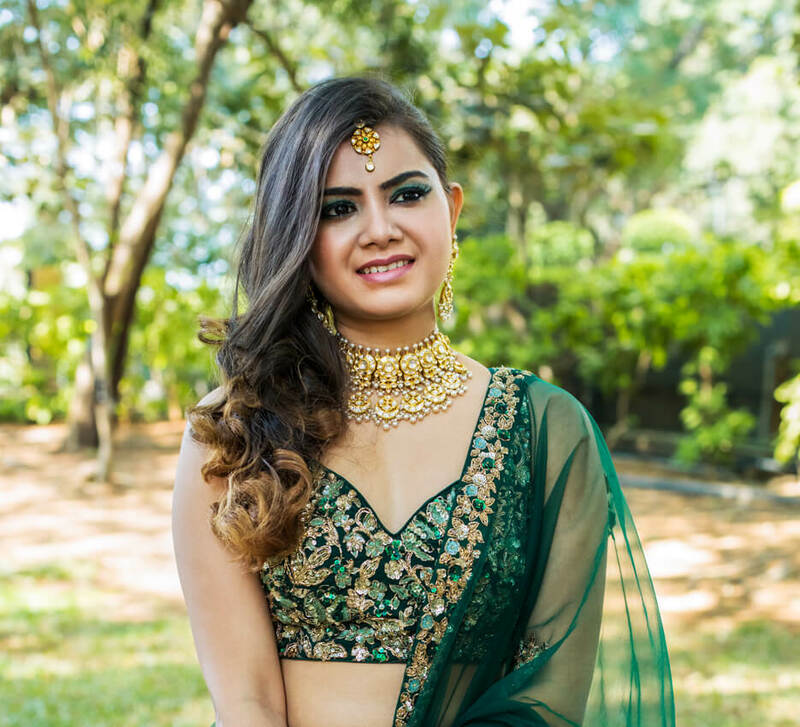 In the first of this three-part series, bride-to-be Abha walked into the real world of bridal beauty and fashion and discovered her personal bridal style quotient. Gilded eyes are as old as the pharaohs but this winter, it’s all about pushing the decadence and working the intensity of gold eye shadow. This season’s iridescence is having a breakout moment and we're looking for deep pigments and pure gold. While crafting a look for Abha, makeup artist Minee Khanna drew inspiration from the trend. A special occasion requires a special look and a special look relies on a range of diverse, high quality products. Using the latest Lakmé Absolute Kareena Kapoor Khan collection, Minee Khanna dipped into this palette and painted an awesome picture. Abha’s hair was styled in luscious curls by Disha Pamnani who took the getup to the next level with her skill and creativity. Fine jewellery crafted by the expert craftsmen at Rivaah By Tanishq completed the look. Each piece from Rivaah By Tanishq brought in an additional facet of magnificence. The ornaments went perfectly with the wondrous lehenga from Shyamal & Bhumika with its effortless regal appeal. As Abha went about this indulgent day curated and crafted by Team WeddingSutra, Once Upon A Time - Wedding Tales preserved every precious moment that she is sure to cherish. 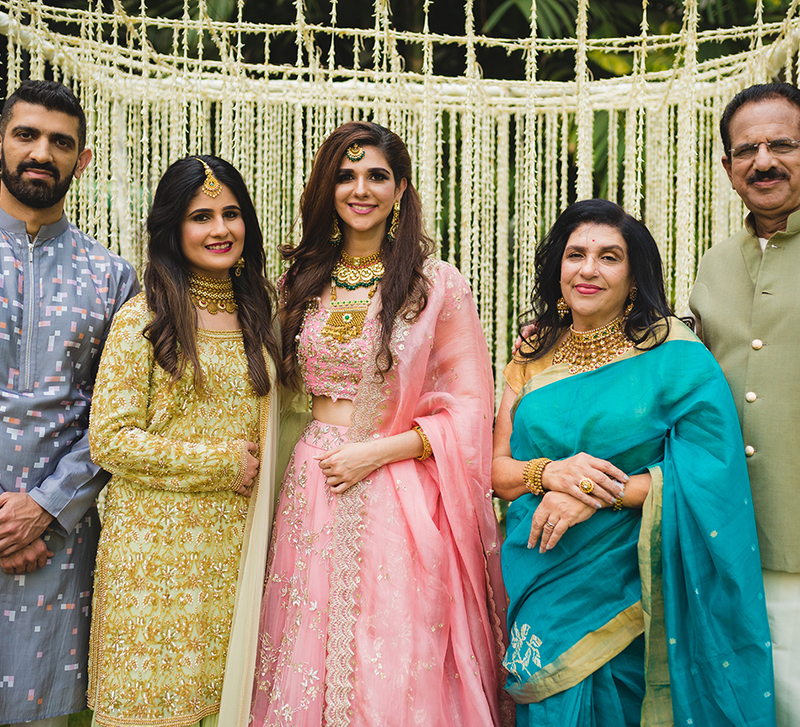 Team WeddingSutra in tandem with the experts, curated a look that resonated with Abha’s personal tastes and took her into the realm of contemporary royalty. The deep blue lehenga by designer duo Shyamal & Bhumika chosen for this bride-to-be had a voluminous skirt that presented a garden of blooming flowers in lighter hues that stood in beguiling contrast to the darker shade of the fabric. The off-shoulder blouse was complete with intricate work using threads and sequins in gold. A breath of freshness came via a peach dupatta with floral motifs across its length and breadth. The highlight of Abha’s makeup was her statement eyelids and the entire visage was created to complement this feature. Makeup artist Minee Khanna began by using the Lakmé Absolute Illuminating Foundation that imparted a silky finish. To set it in, she patted on a layer of Lakmé Absolute White Intense Wet & Dry Compact. The Lakmé Absolute Illuminating Eye Shadow Palette – Gold was her trusted tool in creating that glimmer and to draw further focus to the eyes, she lined her waterline with Lakmé Absolute Kohl Ulitmate in black. A deep flush was given to Abha’s cheeks with the help of the Lakmé Absolute Face Stylist Blush Duos in Rose Blush. The Kareena Kapoor Khan Lakmé Absolute Pout Definer in Fearless Red completed the princess bride perfection.